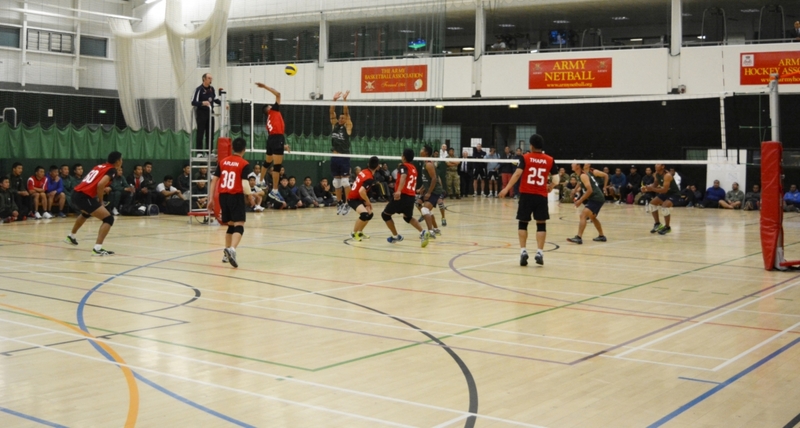 The annual Army Volleyball Championships were held on Thursday 28 April in Aldershot Garrison Sports Centre. All Brigade of Gurkha units performed extremely well with an all four semi-finalist teams coming from Gurkha units. Gurkha Wing Mandalay were beaten by 2 RGR in the semi-final and 1 RGR beat 10 QOGLR in the other. The great professional rivalry between the two Gurkha Infantry Battalions set the scene for a great final. A closely fought match between 1 RGR and 2 RGR was won by 1 RGR, making them the Army Volleyball Champions for the fifth consecutive year. 1 RGR Volleyball team captain, CSgt Prawin Malla, said that he was “delighted to win the title for the fifth consecutive year.” He added that the team had made a great effort to win the championship and they had been practising hard regularly to remain the undefeated champions. 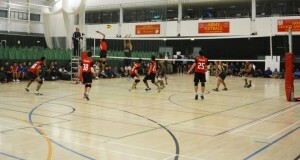 Congratulations to all the Gurkha units’ volleyball teams for doing so well. But to 1 RGR in particular, syabash (congratulations). A fifth consecutive win is a brilliant achievement.